Downtown Ambassadors will return to Main Avenue on March 17 in an effort to channel donations from panhandlers to local human service groups. Efforts to reduce belligerent or unsafe behaviors of panhandlers downtown will begin March 17 when Downtown Ambassadors make their first appearance of 2018 – asking shoppers to donate to charities to help people instead of providing loose change to those seeking handouts. “At some point, it becomes a safety issue, and we want to minimize the worst behaviors you see downtown,” said Tim Walsworth, executive director of Durango’s Business Improvement District, at the group’s board meeting last week. BID and the Durango Chamber of Commerce plan to hold forum on panhandling at the Chamber’s monthly Eggs & Issues breakfast on March 22. In addition, BID and the Chamber have begun to research ordinances around the country that have been adopted to deal with problems arising from panhandling, with Walsworth noting a measure that has helped in Tempe, Arizona. Tempe makes it illegal to sit on a public sidewalk or a median on a blanket, chair or stool from 7 a.m. to 10 p.m. Ambassadors, 10 of whom are undergoing training for the 2018 tourist season, will not interrupt a donation to a panhandler, Walsworth said. Instead, an ambassador who witnesses a donation to a panhandler will inform the donor about the Make It Count campaign, which has about 40 donation boxes in downtown locations and directs its donations to human service charities. “They will approach the donor in a friendly, nonjudgmental way and thank them for their generosity and inform them that there is a way to make a donation that is more effective,” Walsworth said of the ambassador’s approach after witnessing a donation to a panhandler. Walsworth said the eventual goal is to have 100 Make It Count boxes around town, but for summer 2018, he would like to add 10 new boxes. John Mahoney, also a board member, worried that approaching a donor, especially if the person is from out of town, might be counterproductive and hurt the donor’s feelings. But Walsworth said the ambassadors would be trained to make the interactions friendly and informative about best ways to help panhandlers. Board member Erica Curlee believes the interactions will be helpful. “Durango isn’t the only town with this problem,” she said, adding the effort would help a broader nationwide educational effort to steer people to more effective ways to help panhandlers in any community. BID will also update the materials it provides to merchants about panhandling, including a laminated card explaining applicable laws about panhandling and phone numbers downtown employees can call to deal with inappropriate behavior. “There’s not one thing that’s going to eliminate all the problems. It’s a bunch of little things that have to be done,” Walsworth said. 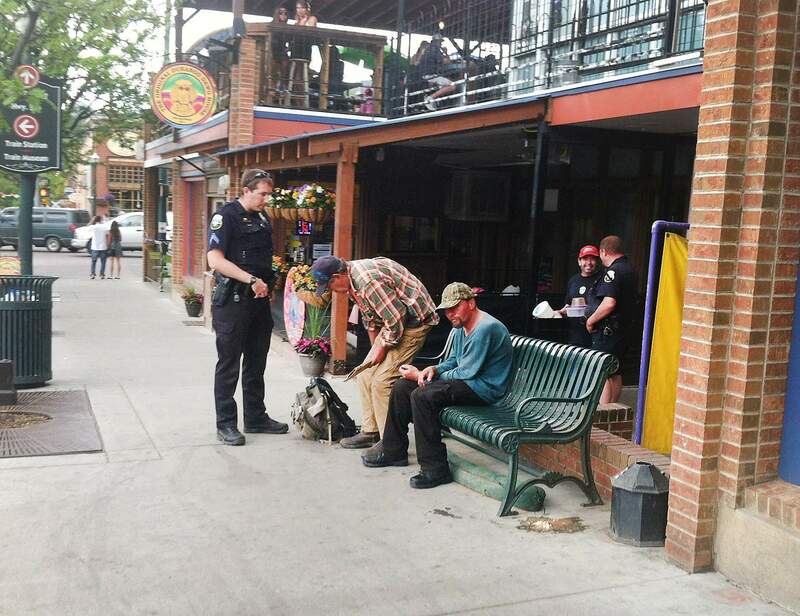 Beyond dealing with panhandling, ambassadors will be trained to provide information about downtown, Durango and the region. Also, they will help deal with issues that arise from activities such as smoking, littering, skateboarding and interactions with dogs.